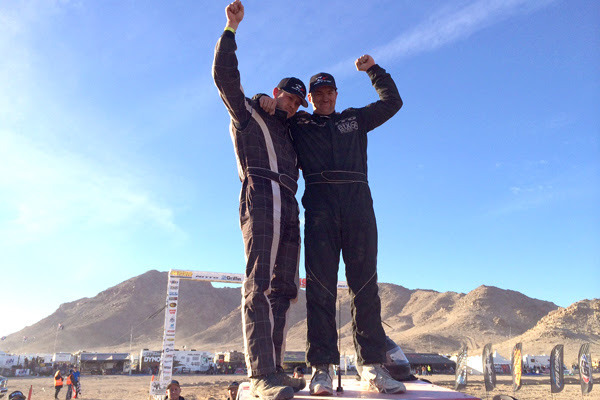 GARDEN GROVE, CA – February 13, 2014 – Year after year, the King of the Hammers (KOH) off road desert racing hybrid event has proven to be most challenging for both man and machine to conquer. The Men (and women) are bold competitors who choose to take on the punishing endurance race hoping to claim victory in one of the sports highest honors. 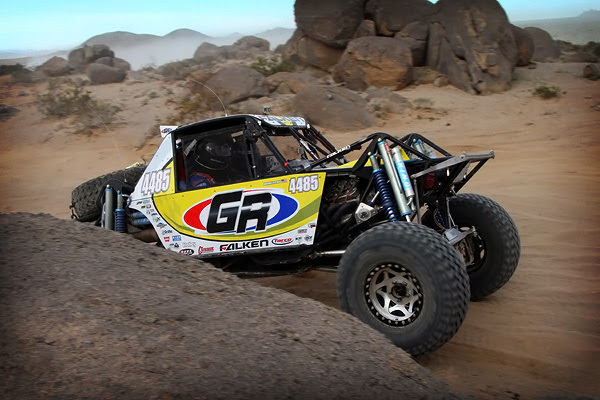 The machines are known as Ultra 4 vehicles that race at high speeds through the rough open desert and skillfully climb over difficult trails full of rock obstacles and boulder-strewn canyons. The 2014 KOH event proved most challenging for the 158 competitors who entered. Only 32 official finishers would actually complete the 165-mile course within the designated 14-hour time limit. King Off Road Racing Shocks were equipped on 7 of the top 10 finishing rigs including Loren Healy’s #67 Nitto Tire machine. Healy, the overall 2014 Hammer King, is also a past 2010 KOH winner. King Shocks have become commonplace on many top finishing vehicles in all of off road racing. Tony Pellegrino the 2nd place finisher in the Ultra 4 Class and a KOH regular deserves a very honorable mention for his efforts and repeat visits to the podium. In the Smittybilt Everyman Challenger, John Currie won his class for the third straight year in a row. Last years KOH Winner Randy Slawson from Bomber Fabrications uses King Shocks exclusively on all of his 4×4 machines and emphasizes the reigning dominant performance of King’s superior damping technology. The weeklong KOH event kicked off with a great showing of what was to come in the form of the King Shocks Shoot Out at Back Door. Just after the sun went down all of hammer town gathered at the backdoor trail where fifty teams from across the US challenge for the quickest run up the infamous obstacle. In the end, after all the carnage was cleared and the dust settled, former 2013 KOH winner Randy Slawson would represent King Shocks and claim the $7,000 bonus with the fastest time up the Backdoor. Not a bad day to start the week. 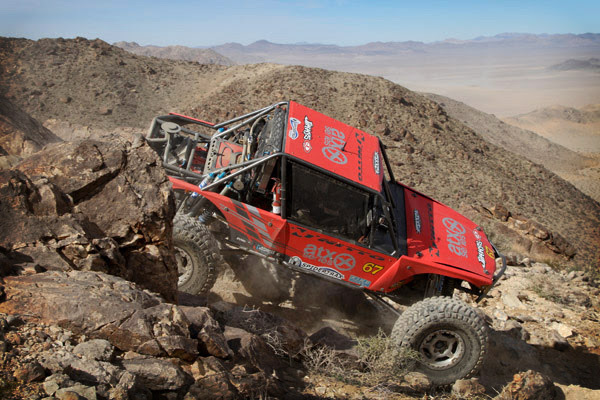 The King of the Hammers has become an international phenomenon and prestigious cornerstone event in off road motorsports. This year’s event attracted over 35,000 attendees to the Johnson Valley. Thousands more enjoyed the extensive live streaming coverage. Competitors from 31 states and 8 countries made up the entry field. 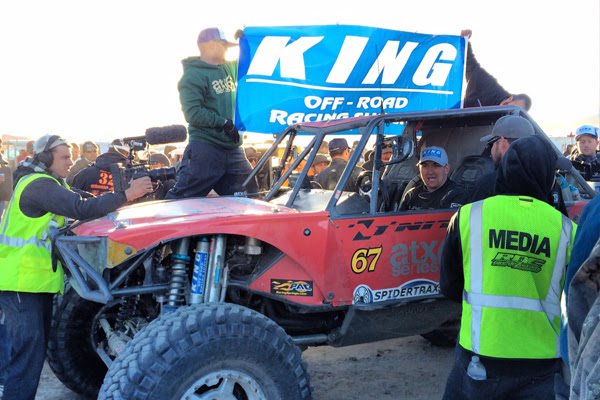 King Off Road Racing Shocks was on the lakebed all week continuing their support as the Official Shock of Ultra4 Racing & the King of the Hammers for the 4th straight year. $15,000 in contingency was up for grabs as well as offering free shock tuning services and tech support for participating racers. Loren Healy would collect $25,000 as the events overall winner plus, he was awarded an $8,000 bonus for finishing on King Shocks. The Hammers is a string of trails that is nearly impassible for any ordinary vehicle to traverse. Only machines with advanced 4×4 equipment and off road suspension like King Shocks should even consider encountering the extreme terrain. At the King of the Hammers event there are more vehicles running King Off Road Racing Shocks than any other manufacturer. King shocks are 100% made in the USA and the regular dominating performance demonstrates that nothing rides like a King.